A recently released Digital Innovation Report by Retail Insider suggests advancements in technology are making online shopping easier, faster and more exciting than ever before. Interestingly it’s not just eCommerce, as the report highlights many of these technological investments are happening in the high street too. Bricks and mortar shops have been competing with the convenience of online shopping for years. Now, things like artificial intelligence, machine learning, augmented reality and facial recognition technology may help them get the upper hand. The Order and Pay mobile app has really taken off for Starbucks. 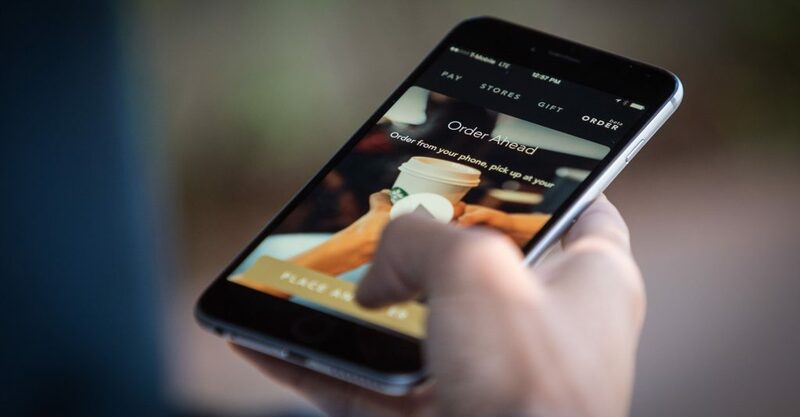 It allows customers to place an order for collection through their phones. Now, the coffee company are developing the app to provide an even more seamless experience for customers. By integrating voice recognition technology into the app, users can place an order with a simple conversational exchange and then collect immediately in person. It’s a great example of reducing friction during a purchase, which can be particularly prominent in a cafe interaction. Starbucks have even teamed up with Amazon’s Alexa. The Echo will retain the regular order and all the user has to do is ask Alexa and their order will be placed for collection. They’re constantly innovation for a more seamless in store interaction. So much so, this ‘order ahead’ system has lead to the opening of a ‘mobile and order’ only shop in their Seattle headquarters. There are lot of digital interactions that take places at the recently opened Leicester Square Lego shop in London. For example, customers can browse the catalogues on HD screens and place then orders that staff receive of their smartwatch devices. 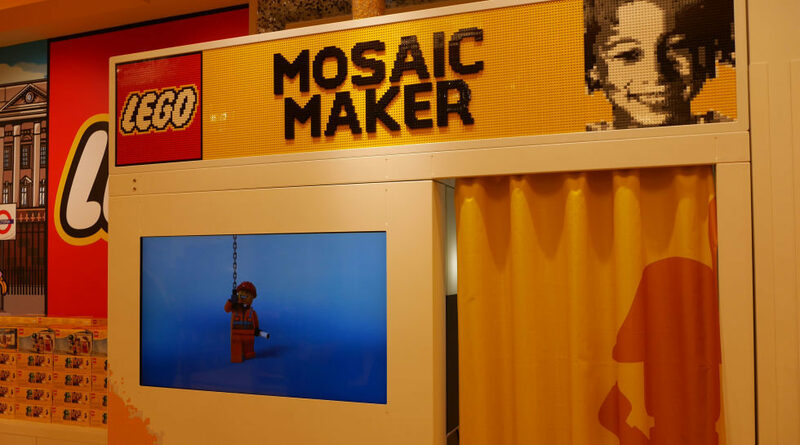 One of the slightly more innovative features at the new Lego store is a digital booth called “The Mosaic Maker”. Customers can have their faces scanned electronically and within a matter of minutes, they’ll get a set of Lego bricks with which they can construct their own portrait. Westfield’s shopping centre in Auckland has spent $5 million on interactive billboards for a more targeted, advertising experience. 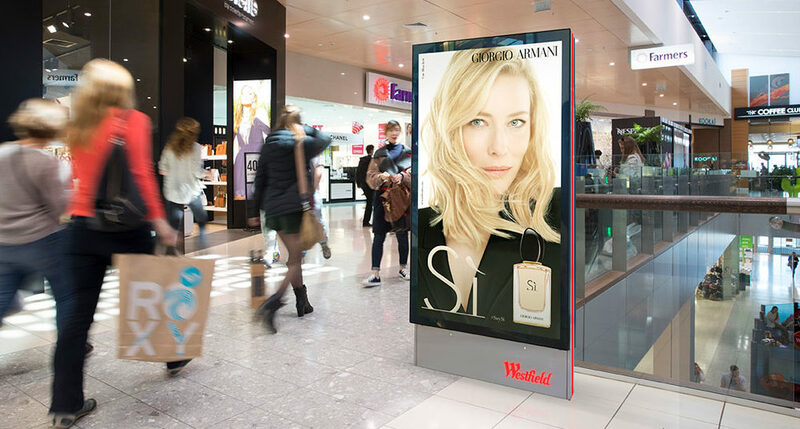 The 6-foot tall, high definition screen located throughout their shopping centres will scan consumers as they pass-by. Then they use facial recognition technology and access their smartphone data. With this data the individuals are categorised by demographic and are then presented with a personalised advertising offer from brands in that particular Westfield Centre. Based on years of research by Scentre Group who followed shoppers using specific entrances and shopping at certain retailers. General manager Bill Burton believes this technology will enhance the shopping experience. He said: “Over the next two years quite a lot of these services will come together seamlessly so our customers have the most friction-less journey they possibly can”. Nike are at the forefront of exploring innovative technology for their customers, included self-tying shoes and home printed 3D trainers. Their most recent investments have been with augmented reality. 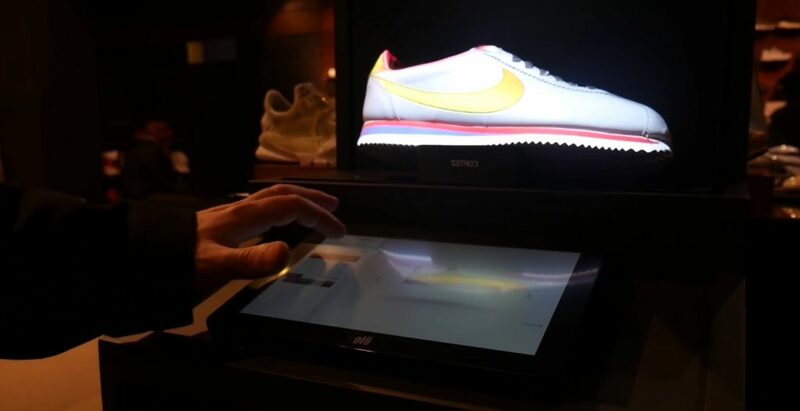 Working with French immersive technology company SmartPixel, the shoe brand have installed two video mapping devices in their flagship Paris shop, located in the fashion hub Avenue des Champs-Elysées. One of the two devices links an interactive configurator with several Nike models. Customers can then virtually customise them through a tablet, or similar device. Once a shoe is placed onto the stand, a projector with recognise the model, configure accordingly and allow them to customise the appearance. The results are a real-time projection that mimic the final results of their design. If you’d like to hear more about blubolt and the innovative platform we offer our customers, please get in contact with us today.